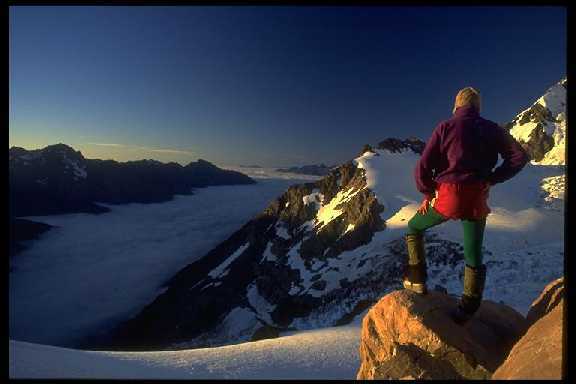 Sunrise from a bivy on Glacier Rock, looking out over a cloud-filled Tasman valley - The Grand Plateau. This rock out-crop at the edge of the plateau has been used as a base for attempts on Cook since the first climbers late last century. Plateau hut, a few hundred metres away, now provides the main climbing accommodation.